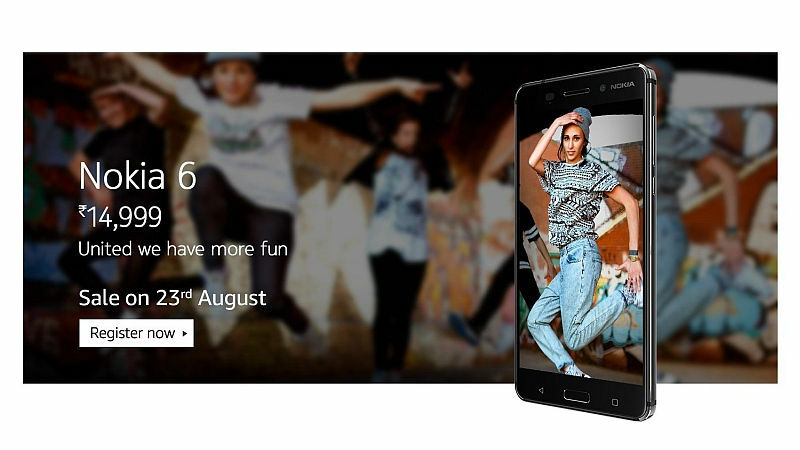 Nokia 6 is available for registrations on the Amazon India starting today. On the website, the smartphone is listed for an open sale on August 23. However, if you wish to purchase the Nokia’s latest Android smartphone. Then you have to register for Nokia 6 smartphone on Amazon India in line to be entitled to the sale. Well, apart from the registration, Amazon is also offering interesting offers with the purchase of Nokia 6 smartphone. In any Prime Member purchasing Nokia 6 using Amazon Pay Balance then, Amazon will provide the each Prime Member Rs. 1000 back. Also, all the Nokia 6 buyers who sign into the Kindle app will get up to 80 per cent off on Kindle eBooks with a maximum of Rs 300 off. This is not it! Amazon is also giving MakeMyTrip coupons worth Rs 2500 off, (Rs 1800 off on hotels, and Rs 700 off on flights) to customers who will purchase and register for the Nokia 6. Furthermore in the terms of data offer, Nokia 6 purchasers will get the Vodafone 45GB of 4G data for a period of 5 months. For a reminder, Nokia 6 packs with a 5.5-inch Full HD display, Snapdragon 430, 3 GB of RAM and Android Nougat on board. Furthermore, the metal body phone has a 3000 mAh battery and houses 32 GB of internal storage. For the shutterbugs, the phone offers a 16 MP single sensor with f/2.0 aperture and a 8 MP sensor with f/2.0 for selfies.